Look how they've grown! 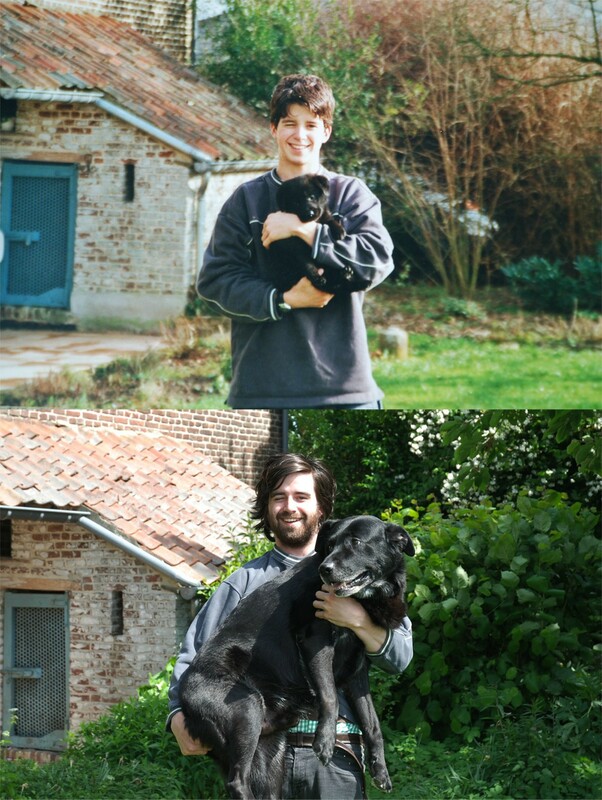 These enjoyable 'before and after' photos of family pets, some of them taken as selfies and others together with family members or other best furry friends are really fun to see. Time goes by but as the well-known quote from the 'Calvin and Hobbes" comic strip goes, "things are never quite as scary when you've got a best friend". Definitely. 1. Ava, as a young pup and again after only 6 months! 6. Taking a selfie with a cat on your back. 7. 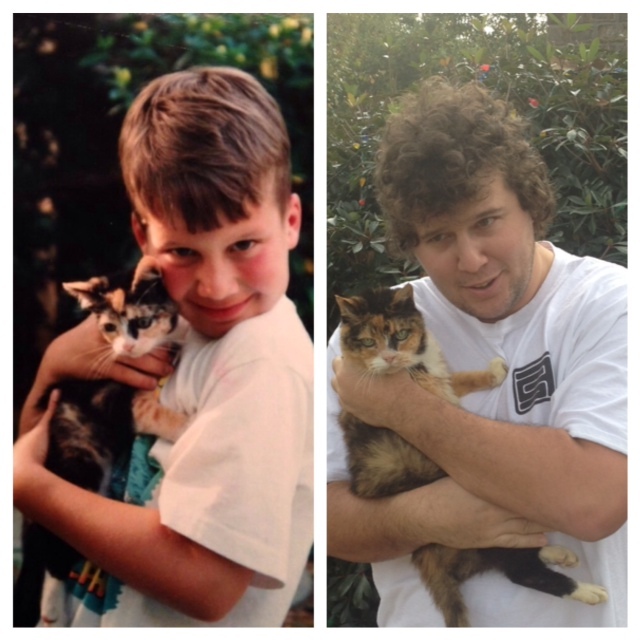 These two are still enjoying sleep-overs together after 16 years! 8. 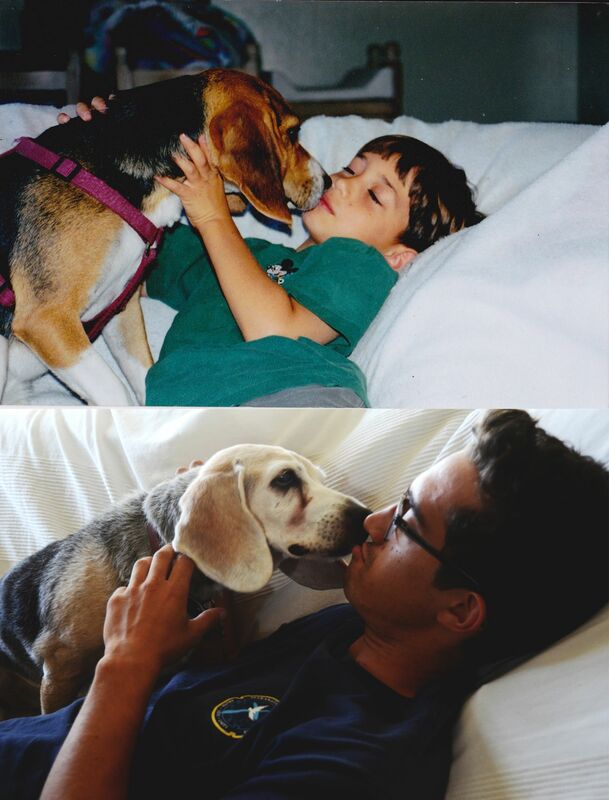 "My dog and I, 1998 and 2012." 12. Would you believe only 3 months have passed? 13. In perspective, the little toy that started out as a giant teddy bear now looks like a miniature! 14. Time flies. Two friends hanging out down by the railroad tracks, 4 years ago and today. 16. After 12 years as friends, now they both have whiskers! 18. For a young puppy this small shelf was a perfect fit. After only one year though, there is only about enough room for a shoulder . 19. What a difference 6 months makes! 21. Only 3 months after finding this comfortable shelf to sit in, this dog is now looking rather nostalgic. 24. "10 years and nothing's changed"
28. This little puppy started out as a handful and stayed that way. Only bigger! 30. 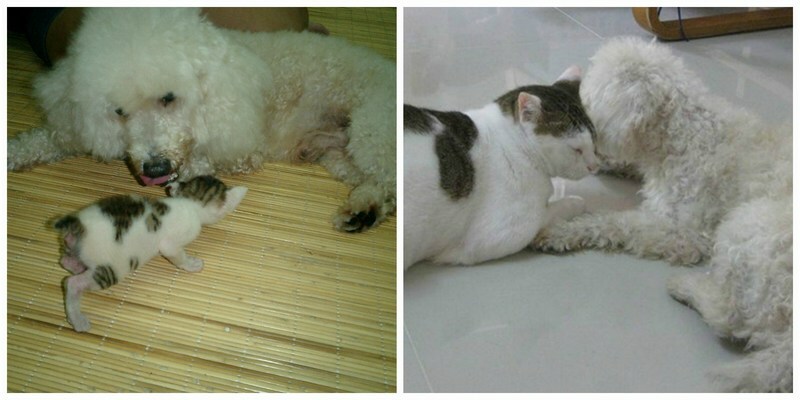 This little kitty started out as a miniature pal for the friendly family poodle, but after a few years time truly became a full grown friend. Did you enjoy this article? Why not share it on Facebook with the animal lovers in your life by clicking below.